One of today’s most sought-after comedians, Kevin Hart (“Ride Along,” upcoming “Get Hard”) stars as the Best Man-for-hire, Jimmy Callahan, in Columbia Pictures’ outrageous comedy, The Wedding Ringer. In the film, Doug Harris (Josh Gad) is a lovable but socially awkward groom-to-be with a problem: he has no best man. With less than two weeks to go until he marries the girl of his dreams, Doug is referred to Jimmy Callahan, (Hart) owner and CEO of Best Man, Inc., a company that provides flattering best men for socially challenged guys in need. What ensues is a hilarious wedding charade as they try to pull off the big con, and an unexpected budding bromance between Doug and his fake best man Jimmy. For director Jeremy Garelick, casting the right actor to play the lead character of Jimmy Callahan, the fast-on-his-feet owner of Best Man Inc., a company that provides professional best man for grooms who just don’t have friends, was important. 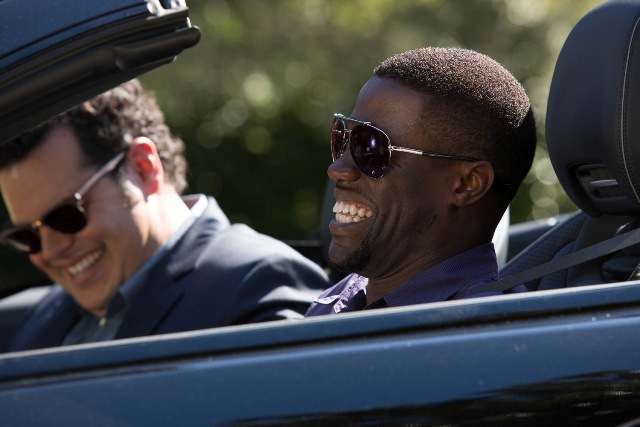 Enter Kevin Hart, the funnyman whose recent comedies “Think Like a Man” and “Ride Along” were box office gold. Opening across the Philippines on Feb. 11, “The Wedding Ringer” is distributed by Columbia Pictures, local office of Sony Pictures Releasing International.